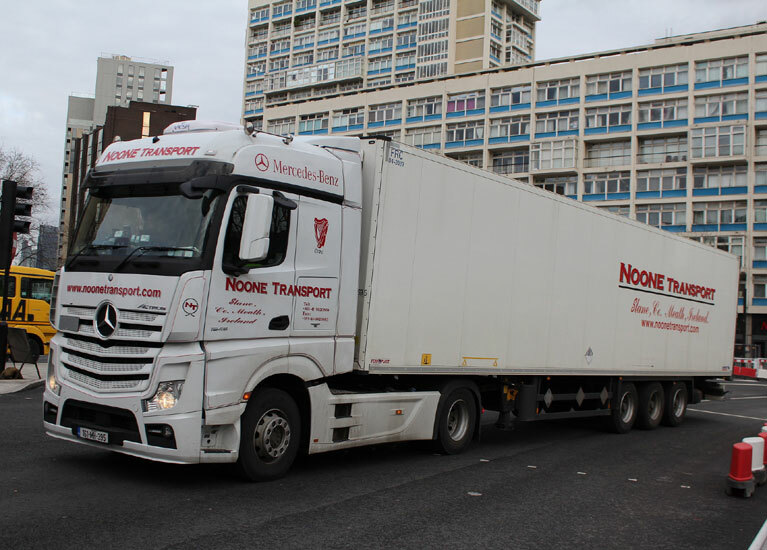 As with all other aspects of our equipmenty, our Euroliner and Curtainside trailers are clean, modern and secure which allows us to safely, securely and efficiently transport your goods both nationwide, to the UK or further to Continental Europe. We currently have a fleet of 17 13.6m Euroliner and Curtainsider trailers available which combined with our 43 tractor units gives us one of the largest tranport capacities in Ireland. 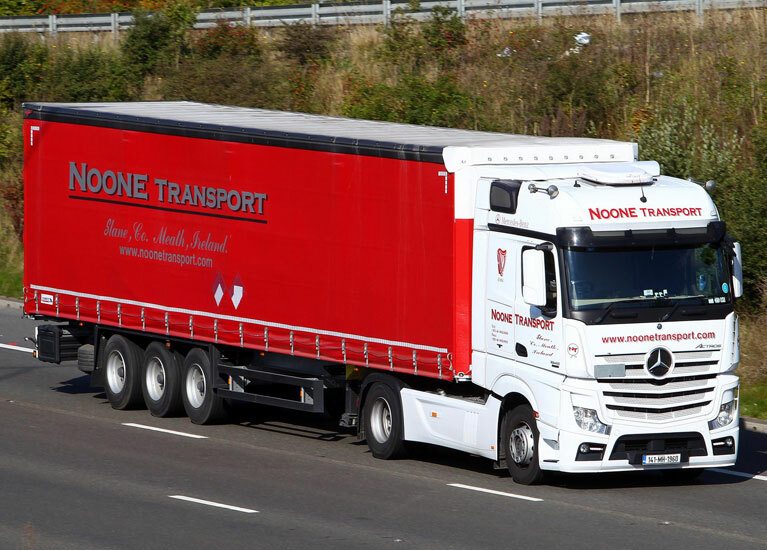 We have independent trailer tracking on our entire fleet of euroliners and curtainsiders which allows us to visualise and process exhaustive truck, driver and trailer information in one back office system. The trailer tracers perfectly address all needs in trailer management, by offering info that ranges from simple track and trace functionalities to extended EBS technical data. 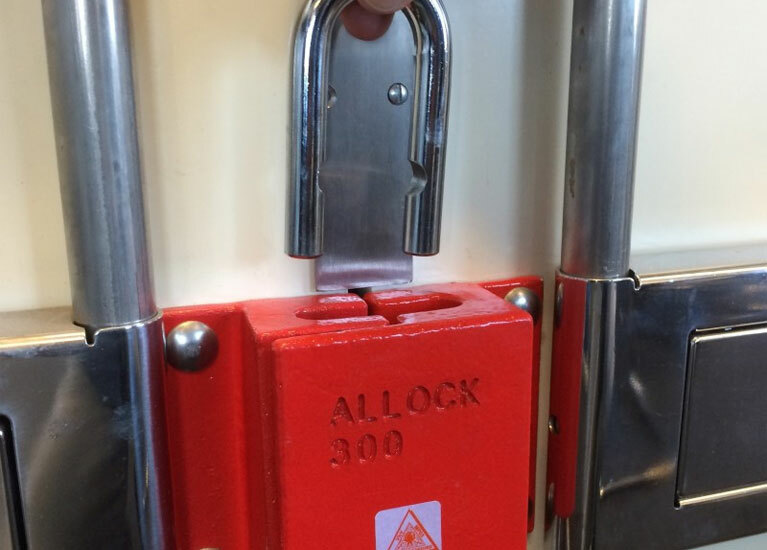 Noone Transport have recently fitted the Powerlock 300 Container Locks to their equipment providing the heaviest security possible for all our containers. The PowerLock 300 lock SCM Mechanical is a permanently mounted door lock. We use it on out containers, swap bodies, trailers, semi-trailers and curtain side trailers. After fixed mounting, the doors are locked by inserting the padlock. Provides the heaviest security possible for vehicles with revolving doors and containers.